Australia’s best freestyle footballers will do battle to crown a new Australian champion under the eyes of expert judges in Parramatta. 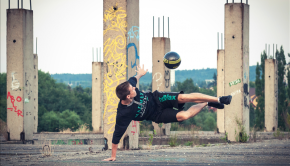 Thanks to funding from Parramatta City Council and the support of Western Sydney Wanderers, the Australian Freestyle Football Titles will take place in Centenary Square in downtown Parramatta on April 2. The field of 17 is the largest yet in the history of the Australian titles, with last year’s event in Adelaide a great success. With the retirement of Chris “Bevs” Beavon, the crown is vacant and there are a number of contenders for the title, with youngster Zac Roberts (Gippsland), Jordan Morrison (Melbourne) and Dylan Stipack (Newcastle) among those hoping to take the title, which comes with a $500 cash prize. The action will take place with special guest judge Daniel Dennehy coming out from Ireland to control proceedings, ably assisted by Oceania champion, New Zealand’s Olly Bowman. Completing the panel is Sydney’s own David McMurray, who oversaw the action during the 2015 NSW titles at the Railway Square YHA. The Railway Square hostel has come to support the freestyle scene once again, with a significant discount on accommodation given to competitors. 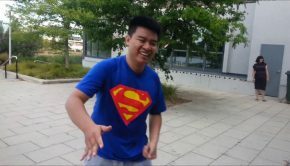 Dennehy, who is known for his vlogs and Instagram posts, will share the vibe of the Australian freestyle scene with the rest of the world. With over 50,000 followers on Instagram, he will certainly spread awareness of the Australian scene. As seen in the video below, Dennehy brings a wealth of experience, as well as 4 Irish championships. He will be able to guide Australia’s young freestylers, who have had the benefit of a recent visit from World Champion Andrew Henderson for an Adidas promotion. 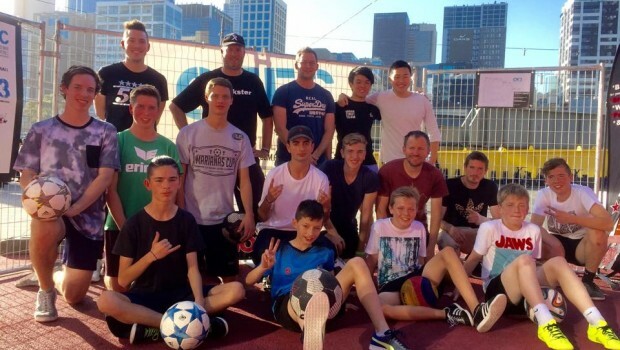 On Wednesday 10th February 2016, Adidas Australia hosted a Boss Everyone competition for 8 Aussie freestyle footballers at the Carriageworks in Sydney. The special guest judges were Andrew Henderson (4 time Freestyle Football World Champion), Scott Jamieson (Western Sydney Wanderers FC) & Beau Ryan (The Footy Show). yooo what’s up!! 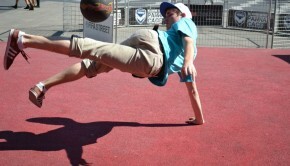 my name is Daniel Dennehy and I’m a professional freestyle footballer from Dublin, Ireland. I travel the world performing at events and making vlogs for this channel! My biggest achievement so far as a freestyler was finishing 2nd place at the Red Bull Street Style World Final in 2012 in Italy. The competition will run from 11 a.m. to 4 p.m. with qualifying routines starting at 1 p.m and the battles beginning at 2 p.m. The battles will be livestreamed on Periscope. For more information on the event as well as other action throughout the year, visit the Oceania Freestyle Football Federation (OF3) website.